Ah to be 12 again. To have long, thick, glowing locks that never thinned or fell out clumps … and the luxury of not appreciating them at all. 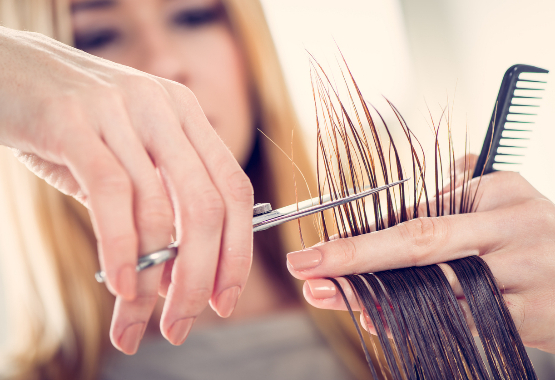 If you’ve noticed far fewer tresses as your years advance, there’s a reason. Almost everyone loses hair thickness over time. For one thing, your rate of hair growth slows, so as old hairs fall out, new ones don’t step in to take their place nearly as quickly. For another, the width of the hair strand itself starts to shrink as your scalp produces strands that contain less protein. The result is thinning, breakability and slower hair growth rate. Well, we can’t go back to preadolescence and steal our own hair, unfortunately, or most of us would do it in a hot second. What you can do is turn back the clock, at least a little bit. Here are five all-natural hair care tips to help you do just that. A shocking number of dinner table items actually work wonders for your hair. 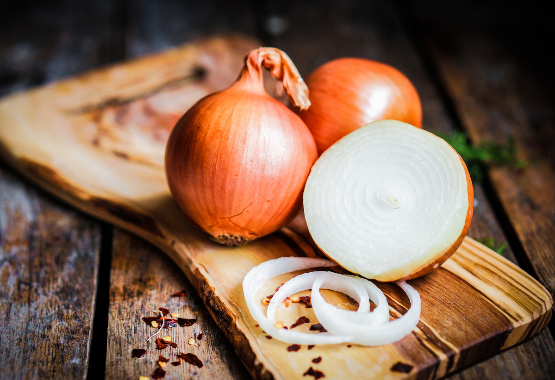 Believe it or not, pungent onion contains sulfur that stimulates collagen production in your scalp. Other foods that stimulate hair growth include coconut milk, gooseberry and whisked eggs as hair masks, and apple cider vinegar and green tea as rinses. Give it a whirl next time you have a Sunday at home. Getting out the grime is the main goal of shampooing your hair. It’s true that leaving product and dirt in your hair is bad for it, but it’s equally true that shampooing without conditioning is one of the main causes of hair breakage. To counteract this, make sure you condition every time you wash. When your hair grows slowly, you hate to cut it. That means losing those precious inches you worked so hard to achieve! But trimming is crucial. Splits start at the bottom, and left untreated, will travel all the way up the strand of the hair, ruining it. Cut ends off regularly, and they can’t. 4. Improve Your Lifestyle … and Rinse Cold! Lifestyle improvements help considerably with your hair. Get lots of exercise and drink lots of water, and you’ll likely notice improvements over a sedentary lifestyle immediately. You might also consider a scalp massage. Either way, definitely rinse with cold water – hot water breaks open the hair cuticle and causes major damage, so don’t do it! 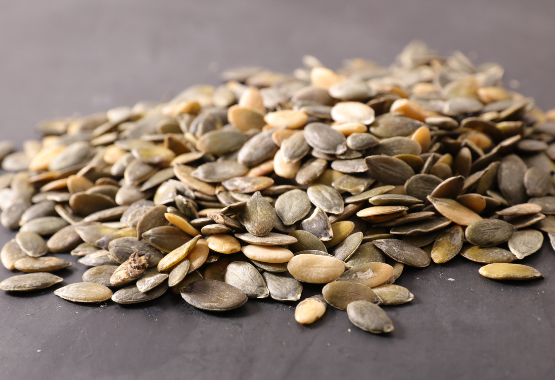 If you’ve tried the above tips and still want better results, you might consider getting specific nutrients from foods such as pumpkin seeds, flax seeds or Echinacea tea. These contain nutrients that keep you healthy, boost your metabolism and encourage hair and nail growth. 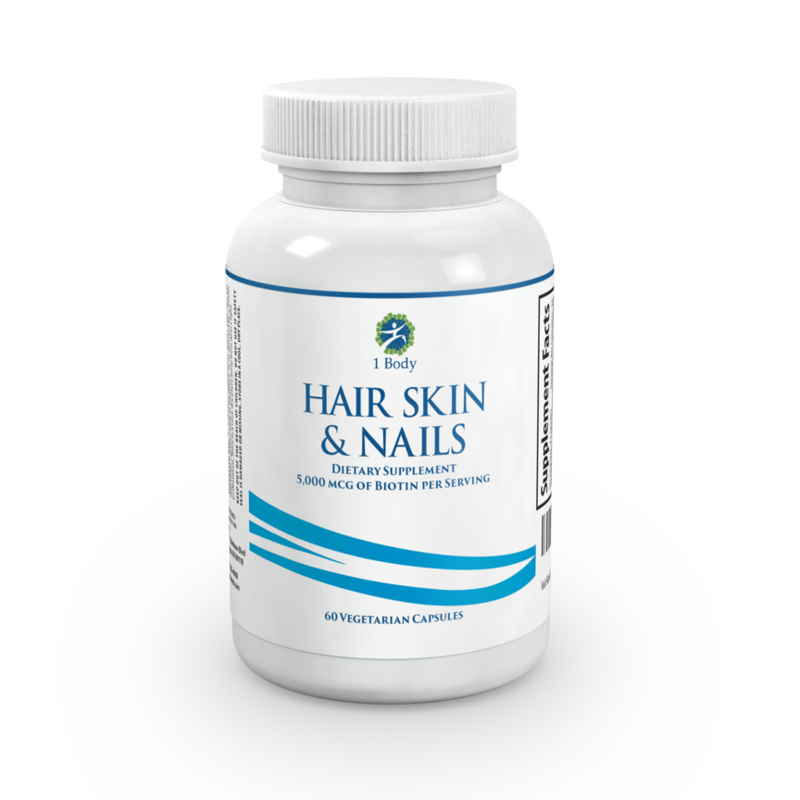 Also, you should take a supplement crafted specifically for hair, skin and nails, containing 21 vitamins and minerals to help you turn back the clock and rock thicker hair now. Have any other brilliant tips that we should know about? Please feel free to leave them in the comments. In the meantime, best of luck on boosting hair growth and enjoying a return to the hair of your younger days!